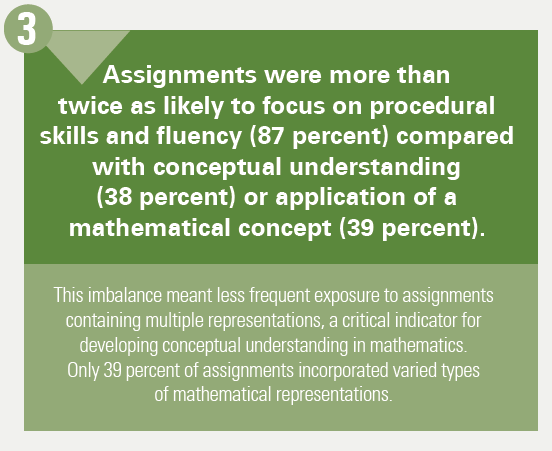 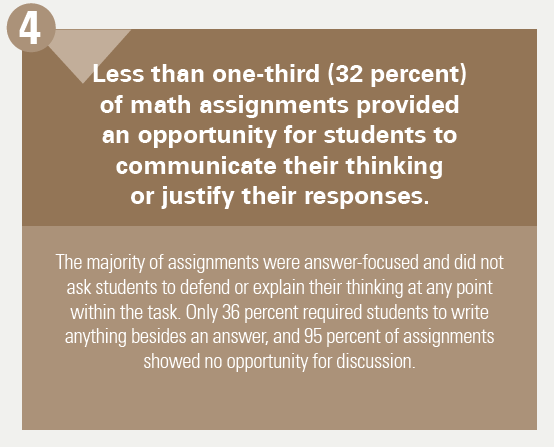 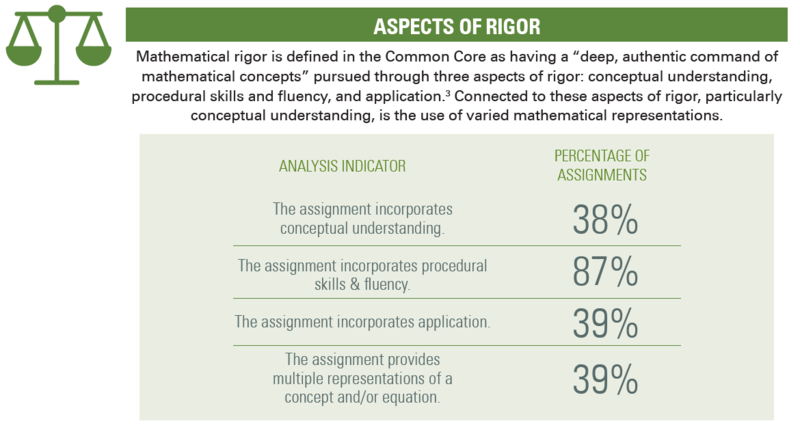 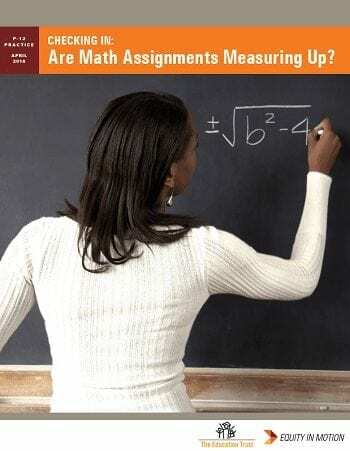 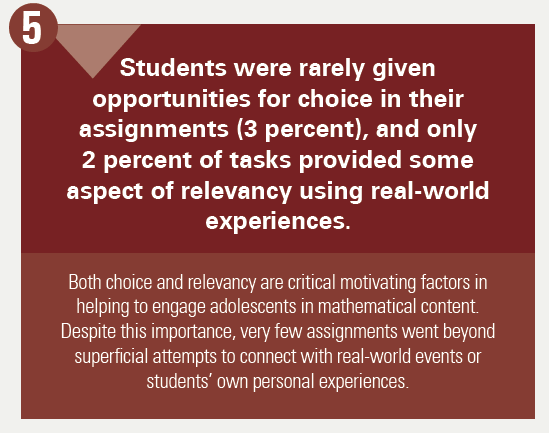 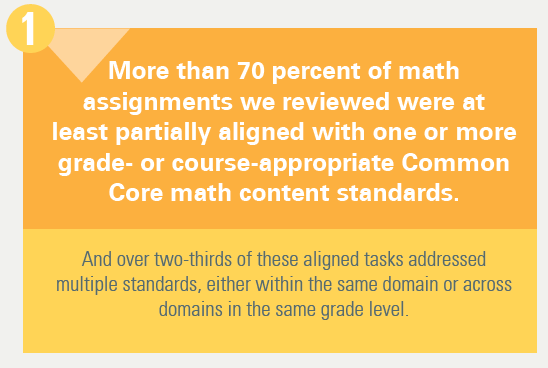 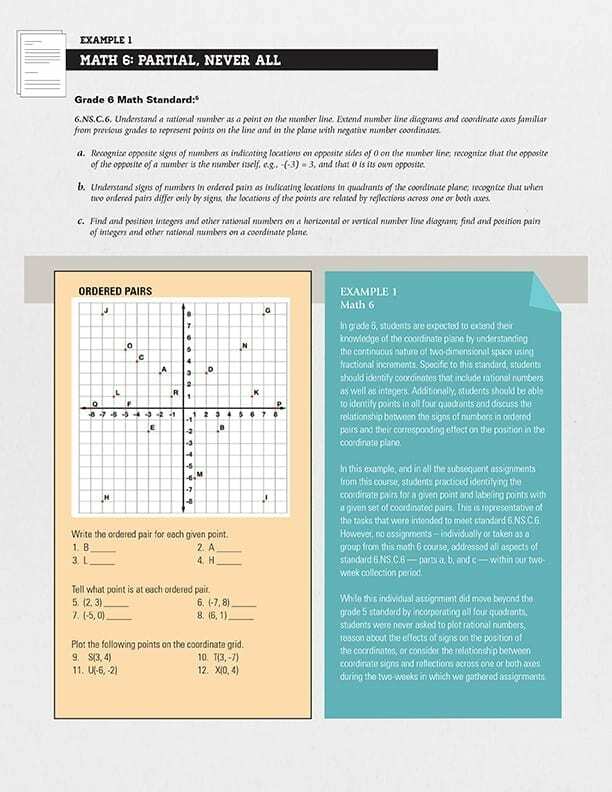 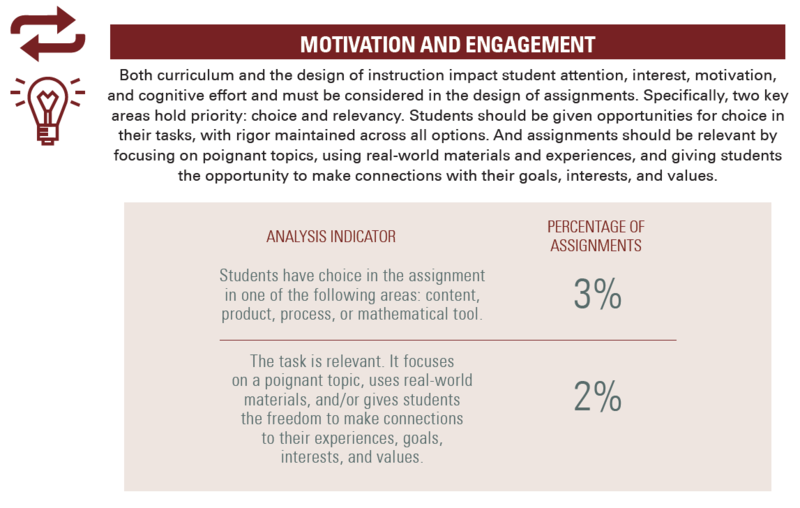 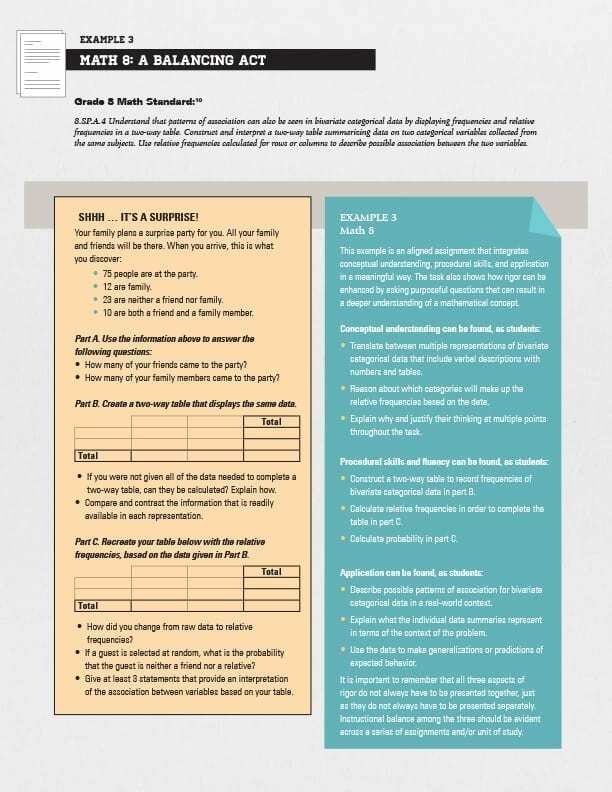 In Checking In: Are Math Assignments Measuring Up?, we examined more than 1,800 math assignments given to middle-school students from six districts — urban, suburban, and rural — across the country. 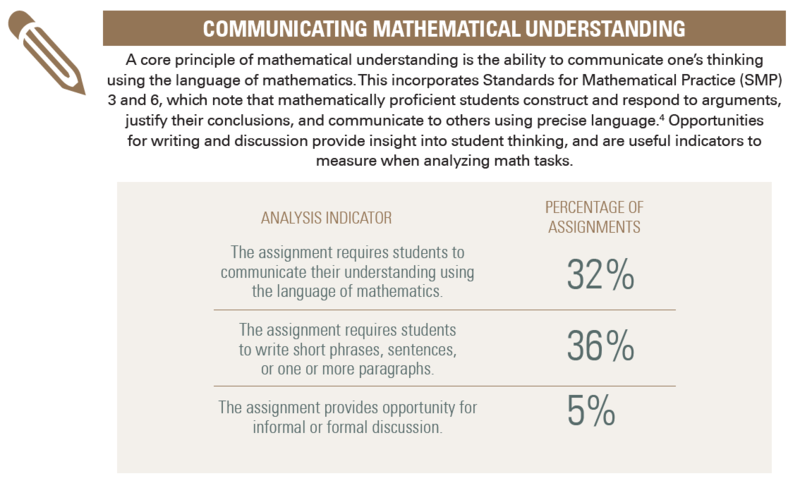 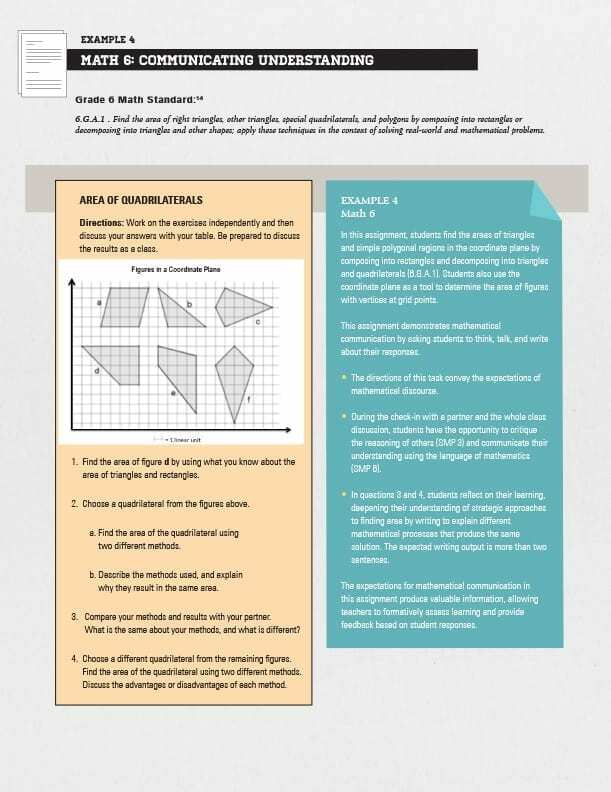 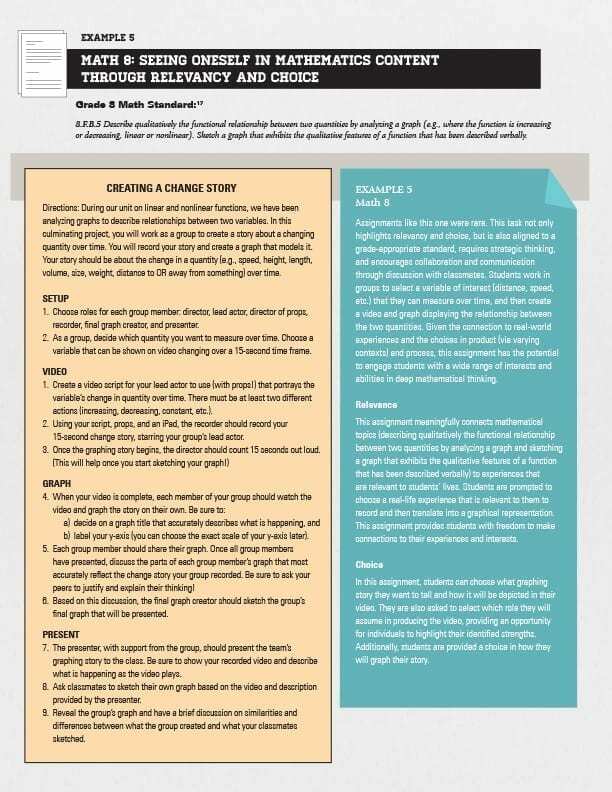 Assignments were collected from 63 sixth-, seventh- and eighth-grade teachers teaching math courses, ranging from math 6 through geometry. 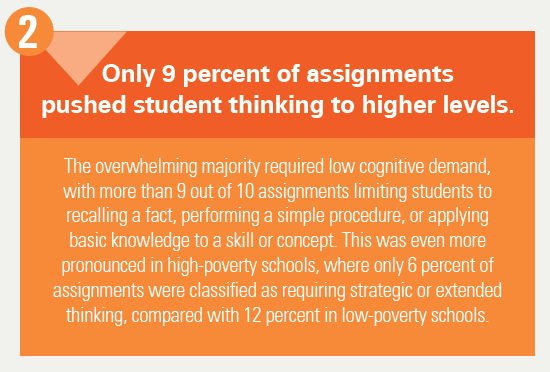 And this tendency was often worse in higher poverty schools.